Market is flooded with myriads of swanky and flashy bikes but the craze of Royal Enfield still reigns supreme. Still ubiquitous in many parts of the world and the subject of enthusiast clubs, Royal Enfield’s are one of the world’s most popular classic motorcycles. There’s just something about these bikes that people love. 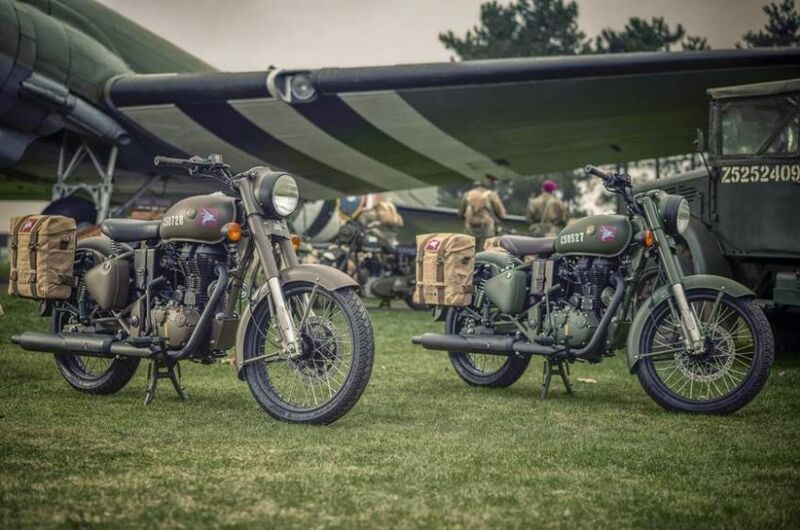 Known for their smooth ride, endurance and their part in the war effort, Royal Enfield motorcycles are a true classic in every sense of the word. 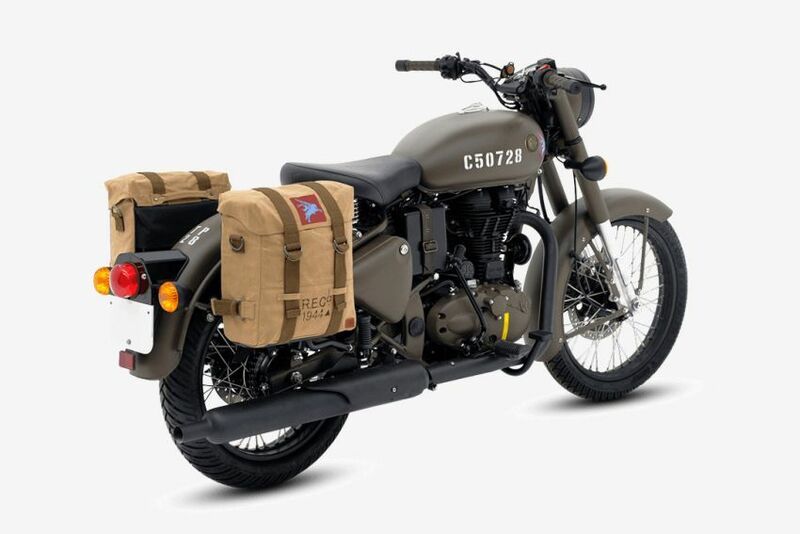 And the cult bike brand is consolidating is success with its latest model: the Royal Enfield Classic 500 Pegasus Edition. 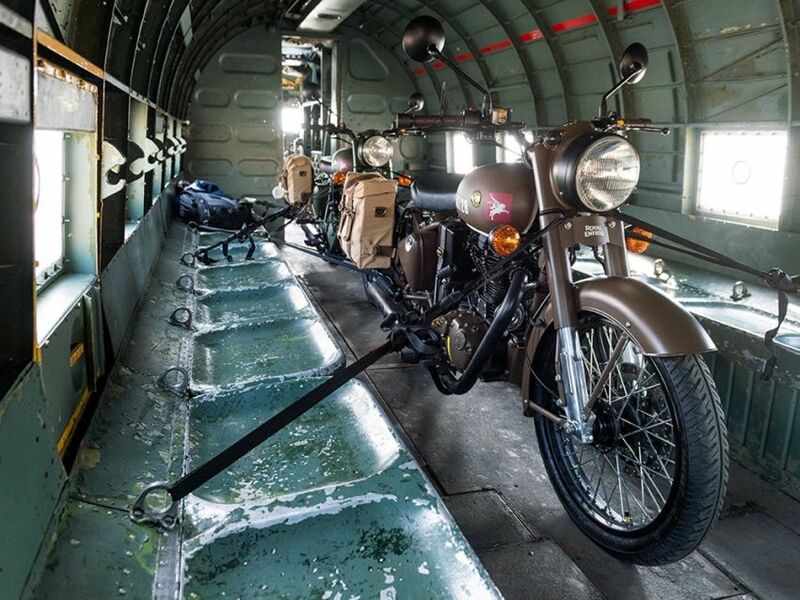 In WW2, Royal Enfield developed a bike called the ‘Flying Flea’, also known as ‘Airborne’ as it came with its own parachute and packing cage, and it could be dropped from an aircraft along with the British troops. 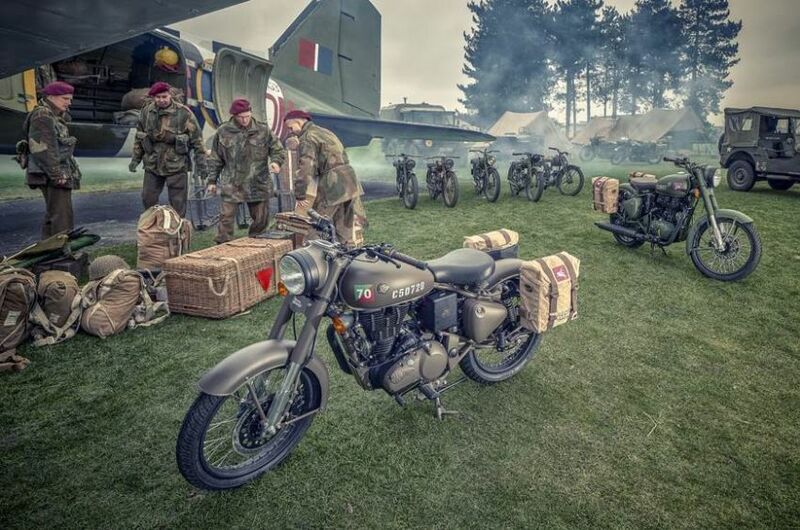 The ‘Flying Flea’ was a compact two-stroke 125 cc motorcycle that saw action in some of greatest battles of World War II, including D-Day and Arnhem. 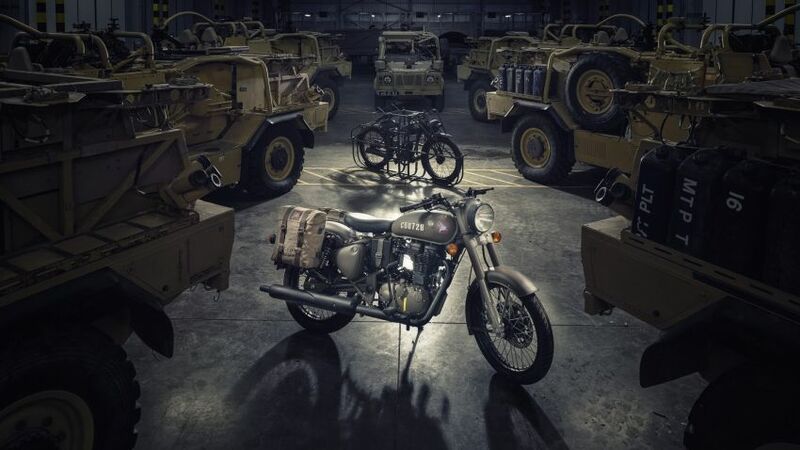 It’s this bike and the brave men who used it, that Royal Enfield have honored with the special edition Pegasus. 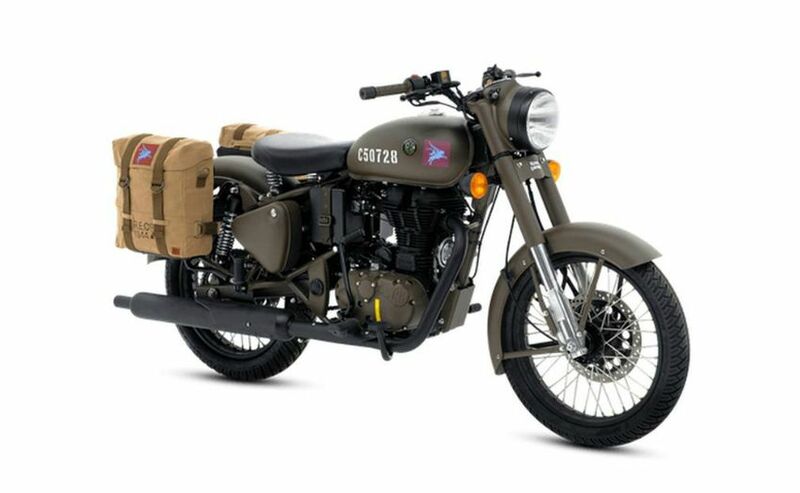 It will be an opportunity for Royal Enfield lovers to own a piece of history from 1000 units to be manufactured and distributed globally, of which 250 will be available in India. 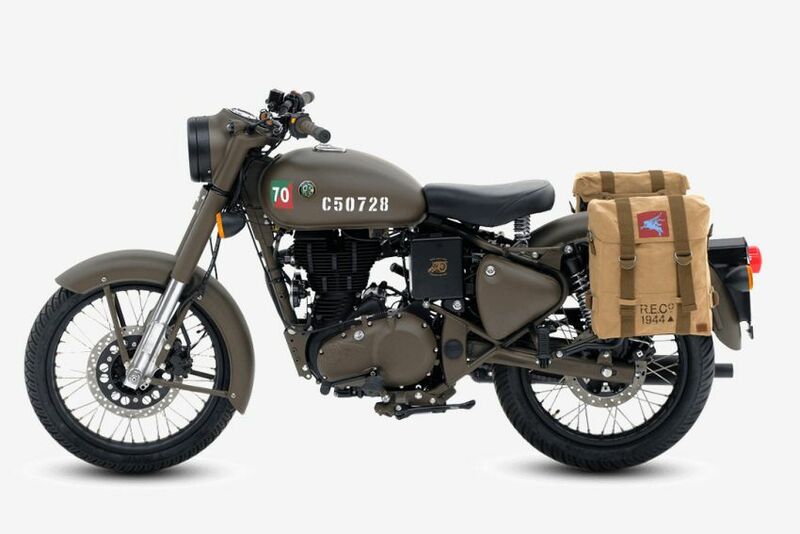 Each of the 1000 new Classic 500 Pegasus motorcycles wears a maroon and blue Pegasus emblem — the official Parachute Regiment insignia — on the fuel tank along with an individual stenciled serial number. The famous Royal Enfield ‘Made Like a Gun’ decal on the battery box is another reminder of the machine’s heritage. 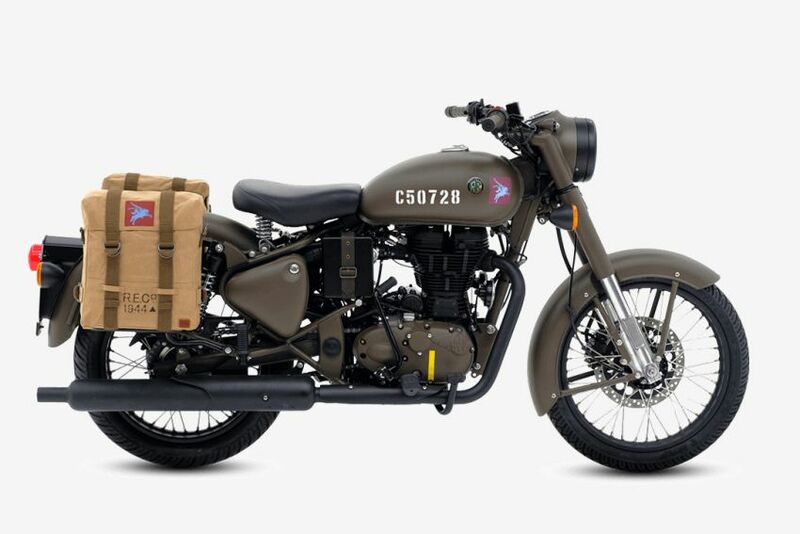 The bikes are painted in the wartime colors of Service Brown and Olive Drab Green, and include period-correct brown handlebar grips, leather strap with brass buckles across the air filter, blacked out silencers, rims, kicks start, pedals and headlight bezel. In addition, consumers can also buy a range of genuine motorcycle accessories that are compatible with the motorcycle. Similar to the standard Classic 500, the Pegasus is powered by a 499 cc, air-cooled, single-cylinder engine capable of delivering 27.5PS of power and 41.3Nm of torque. The kerb weight of the limited edition bike stands at 194kg which is identical to the standard Classic 500. 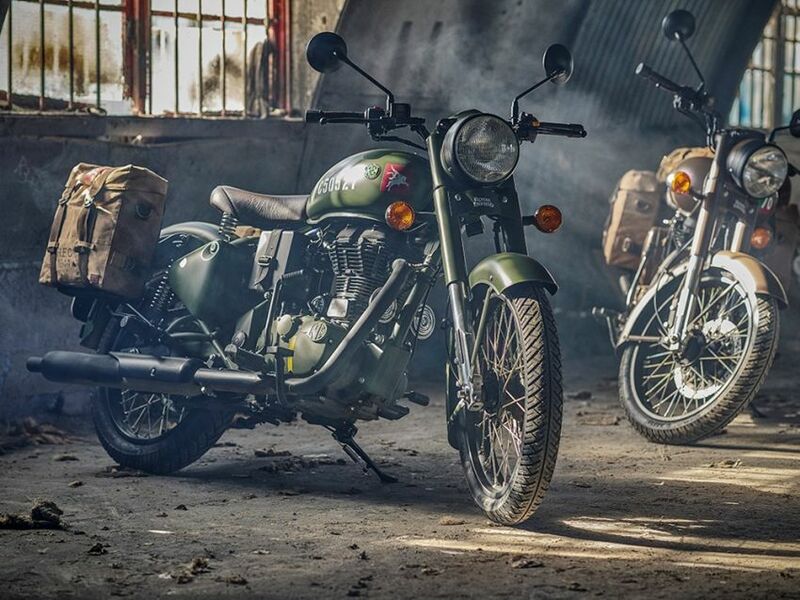 The Royal Enfield Classic 500 Pegasus Edition will attract the buyers who love to collect vintage bikes or like the classic bikes from the long gone era, proving once again that Royal Enfield’s are bikes that stir the soul.